Your best shots. Made even better. Your photos don't always reflect the scene the way you remember it. 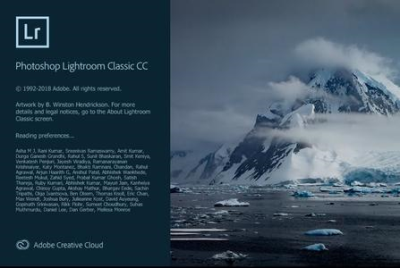 But with Lightroom Classic CC, you have all the desktop editing tools you need to bring out the best in your photographs. Punch up colors, make dull-looking shots vibrant, remove distracting objects, and straighten skewed shots. Plus, the latest release offers improved performance so you can work faster than ever. - With better performance under the hood, Lightroom Classic CC lets you import photos, generate previews, and move from Library to Develop Module in record time. - Use range masking tools to easily select the areas or objects you want to edit based on their color, luminance, or depth. - Create HDR panos faster now that you can merge multiple bracketed exposures into multiple HDR photos and then stitch them into a panorama - all in one step. Experience greater speed and stability when tethering a Canon camera to Lightroom Classic CC. Create HDR panos faster now that you can merge multiple bracketed exposures into multiple HDR photos and then stitch them into a panorama - all in one step. Make selections based on specific depth ranges in either the foreground or background of your HEIC photos. See less noise when you move the Dehaze slider to the left of zero. Get natural color in your low-light, high-ISO shots. - AMD: Radeon GPU with DirectX 12 or OpenGL 3.3 support. - Intel: Skylake or newer GPU with DirectX 12 support. - NVIDIA: GPU with DirectX 12 or OpenGL 3.3 support. - OpenGL 3.3 and DirectX 10-capable video adapter for GPU-related functionality. - 1 GB Video RAM (VRAM). 2 GB of dedicated VRAM (4 GB recommended) for large, high-resolution monitors, such as 4K- and 5K-resolution monitors.